How do you get an "authentic Japan" experience in the Tokyo area? Well, it depends on what you mean by "authentic," and what you mean by "Japan!" As a modern city with an ancient past, truly "Japan" experiences in Tokyo run the gamut from traditional arts to modern otaku culture. Here are 16 truly "Japan" options from the very old to the very new! 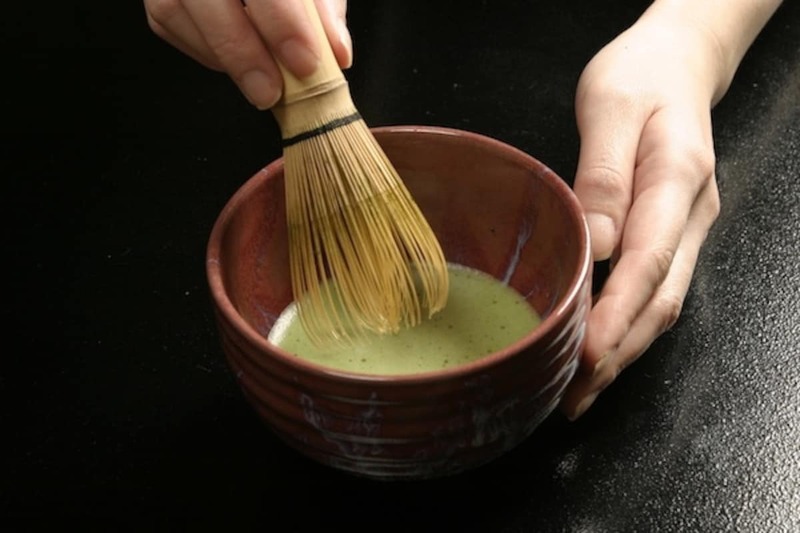 A full-on chado or sado (茶道) tea ceremony involves a very formalized order of progression, including how and when to pass the cup, rotate it, sip, and eat the accompanying traditional sweets, or okashi (お菓子). While it's typically seen as more of a Kyoto thing, there are still many places where you can experience tea ceremony in Tokyo, such as Komaba Warakuan (駒場・和楽庵) two stops west of Shibuya Station, and Chazen (茶禅) in Ginza. You can also try a quick, 20-minute experience on Fridays and weekends at the Kyotokan (京都館), located just east of Tokyo Station. Maid cafés began to spring up in the early 2000s, offering kawaii service typically centered around sweet drinks and very basic food. Expect to receive your order with a cute little rhyme or song accompanied by an affected pose. It's a little silly, but if you're going to do it, the place to do it is Akihabara, home of otaku culture! Schatzkiste (シャッツキステ), @Home Café and Cure Maid Café (キュアメイドカフェ) are a few standard options, while more specific themes are available to advanced maid aficionados. While wearing a kimono isn't as common a tourist experience in Tokyo as it is in Kyoto, there are two areas where it makes perfect sense: Asakusa, where you'll find Senso-ji Temple; and Kawagoe—also known as "Little Edo"—which still preserves the old streets from its days as a castle town. Kawagoe is actually in Saitama Prefecture, but it can be accessed in about 30 minutes from Ikebukuro Station. If you want to combine your cultural activities, you'll also find some tea ceremony courses that incorporate kimono into the experience. Arcades—known locally as game centers (ゲームセンター)—never really died out in Japan. Claw crane (UFOキャッチャー・UFO catcher) and taiko drum games (太鼓の達人・Taiko no Tatsujin) tend to get all the attention, and can be found at pretty much any game center. But if you want to try a level-up, head to one of the two VR Park Tokyo locations in Shibuya and Ikebukuro, where you can pay a flat rate for 90 minutes of free play on an assortment of VR games, while a standard game center awaits on the lower levels. While you can see castle walls at the Tokyo Imperial Palace, if you want to see a castle keep, the nearest to Tokyo is in Odawara City, Kanagawa. It can be accessed in 90 minutes on the (more expensive) Odawara Romancecar express out of Shinjuku Station, or 2 hours on a regular Odakyu Line express. While there, you can pay ¥300 to wander the grounds (but not enter the keep) in some fairly satisfying samurai armor. Ninja and princess options also available. Major izakaya chains include Watami (和民), Tsubohachi (つぼ八), Shirokiya (白木屋) and Kin-no-Kura Jr. (金の蔵Jr.). Most chains will offer all-you-can-drink (飲み放題・nomihodai) deals for a fixed time, though the drink selection tends to be pretty basic. If you want to go a level quirkier, there are also themed izakaya you can try. While Tokyo wasn't exactly a traditional ninja hub, those looking to try out some ninjutsu can head to the Musashi Ninja Clan Shinobi-Samurai Honjin Dojo, which offers 90- and 120-minute ninja courses, as well as swordsmanship workshops. The dojo is located in central Tokyo, just north of Tokyo Tower. If you'd prefer something with a more ascetic feel, you can also try two- and four-hour courses at Yanin-an, located deep in the mountains of western Tokyo. Since its invention in 1971, karaoke has become as much a part of the Japanese cultural landscape as kimono and tea ceremony: go drinking at an izakaya, then finish up with karaoke. While you can get karaoke in small bars, the typical experience (especially for younger people) is in a dedicated karaoke box with tambourines, maracas and multiple rounds of drinks brought up to your room. Not to worry: English songs are everywhere, and the machines are a lot more intuitive than they used to be! You'll find karaoke just about anywhere nightlife is found in Tokyo, with common hotspots including Ikebukuro, Shinjuku, Shibuya, Roppongi, Shinbashi, Ginza and Akihabara. Major chains include Big Echo (ビッグエコー), Shidax (シダックス), Karaoke no Tetsujin (カラオケの鉄人), Karaoke-kan (カラオケ館) and Uta Hiroba (歌広場), also known as Utahiro. Most places will offer a nomihodai (all-you-can-drink) deal, which can work to your advantage depending on how much you plan to imbibe. If you want to save money, on the other hand, go during the day: The rates are vastly cheaper, though you'll usually still be required to order one (alcoholic or non-alcoholic) drink. There are dozens of English-language cooking classes you can sign up for in the Tokyo area, usually offering about a two-hour introduction to key elements of Japanese cuisine and food traditions. Ayuko Akiyama's Buddha Bellies course is particularly worth a try: A former English teacher, she not only knows how to cook, but also how to make the entire lesson deeply engaging and thoroughly educational. Hot springs, or onsen, are a big part of any Japanese vacation. While Tokyo isn't exactly known as a hot spring destination, you can get a taste at Edo-Onsen Monogatari (江戸温泉物語), an onsen theme park in Odaiba. It's done up in traditional Edo-Period (1603-1868) style, so you get two cultural experiences in one! Just, um, be ready to get naked in front of total strangers. Of course, if you really want an authentic onsen experience around Tokyo, you should probably head 90 minutes southwest to the mountains of Hakone, Tokyo's premier hot spring resort destination. There you can try your onsen while staying in a ryokan (Japanese-style inn), another big Japan experience! Ikebana—written 生け花, 活花 or 挿花, and also known as kado (華道)—is the traditional Japanese art of flower arrangement. Two of the most famous Japanese ikebana schools, Ohara (小原) and Sogetsu (草月), offer introductory courses in English, and can be found right in Tokyo. The Ohara-ryu Kaikan (小原流会館) is in Omotesando, while the Sogetsu Kaikan (草月会館) is between Aoyama-Itchome and Akasaka Mitsuke stations. The time slots are limited, so be sure to check the schedule for availability! Marked by its elaborate makeup and stylistic performances, kabuki (歌舞伎) developed during the Edo Period (1603-1868), and was recognized by UNESCO as an element of Intangible Cultural Heritage in 2008. The famed Shochiku group runs a number of permanent kabuki theaters in Tokyo, including the storied Kabukiza Theater (歌舞伎座) in Ginza, the Shimbashi Enbujo Theatre (新橋演舞場) in Shinbashi, and Theater Cocoon (シアターコクーン) in Shibuya. Some performances offer a tablet that provides English subtitles, or a headset outlining the plot and other interesting information as the action happens onstage. A kabuki performance typically starts before noon and runs with periodic breaks until evening, with scenes from multiple plays strung together throughout the day. If you're looking for a lighter commitment, you can also see introductory kabuki performances at the Kokuritsu Gekijo (国立劇場, National Theatre) near Hanzomon Station. The shamisen (三味線) is a three-stringed instrument played with a plectrum called a bachi (撥). Once every month, Arts Council Tokyo runs three free shamisen workshops on a single day at the Asakusa Culture Tourist Information Center (浅草文化観光センター・Asakusa Bunka Kanko Center) right across the street from Senso-ji's Kaminarimon gate. Check the schedule and just show up for a truly unique experience! The Robot Restaurant (ロボットレストラン) is an effective summary of all of Japan's wackeist excesses. Head to this over-the-top spot in Shinjuku to see live "robot" shows intermixed with traditional Japanese culture like festival dances and taiko drumming, with plenty of neon and a little cheesecake sprinkled on top. It's basically the craziest floor show you can possibly imagine—and tons of fun! The price seems to be rising along with its popularity, however. With just six Grand Sumo tournaments throughout the year, sumo is actually a bit of a special event in Japan. Fortunately, half of the tournaments are held in Tokyo’s Ryogoku Kokugikan (両国国技館). So if you're in Tokyo in January, May or September, be sure to keep an eye on the sumo schedule and look into getting yourself some tickets! Trying your hand at taiko drumming is an essential part of any Japan experience. If you want to try it for yourself, Taiko-Lab has two classrooms in Tokyo, with more spread across some of Japan's other major cities. Head to either the Asakusa or Aoyama branch for a one-shot taster lesson starting at ¥6,000 (reservation required). That should be enough "authentic Japan" for any Japanophile's trip to the Tokyo area. Now get out there and give it a shot!